Every one of us wants a speedy PC which can perform all actions without any hassle, but for that, you have to Tweak your windows and maintain it to keep it running smoothly and fast. Here are the 5 major tips recommended by Microsoft to keep your Windows performance better. 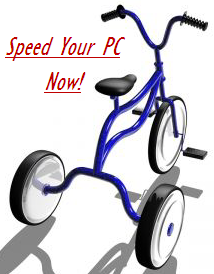 Reduce the Startup Programs – This will make your PC load faster by opening fewer programs at startup. This can be done by opening msconfig.exe and disable unused entries under Startup menu. Oh yes, its working, But I have speed up my Internet connection a little bit. Anyway it’s been happy to working on the net by speed browsing.